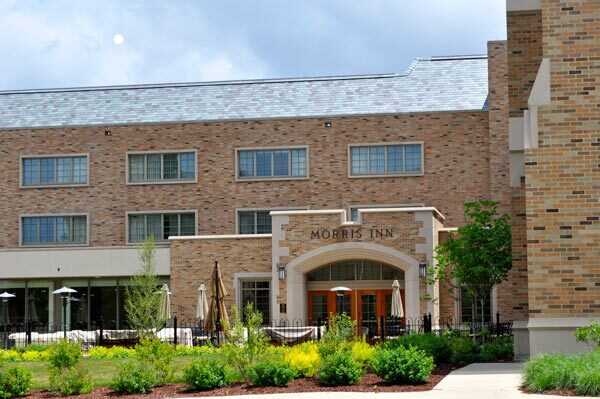 The Morris Inn was built on the campus of the University of Notre Dame and originally opened April 21, 1952 – it featured 85 twin guest rooms and 7 double rooms. 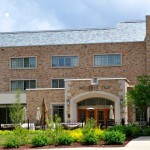 Today, the Morris Inn has increased in size from 72,000 sf to 137,500sf and number of room keys from 92 to 148. 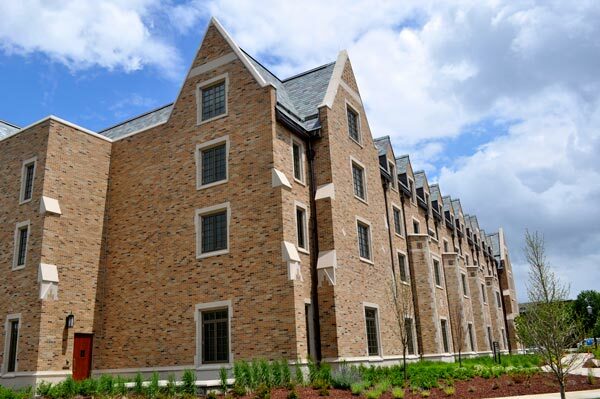 The 7-month of masonry was reduced to 4 months to accommodate the owner’s requirement by working 2 shifts per day – during the winter months. To increase productivity the entire building was scaffolded 50 feet in the air. 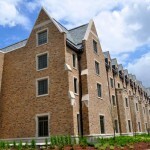 At the project’s peak, 300 craft workers were in the building, spread between the two shifts. More than just working hard, our team worked smart. In this collaborative way of planning, trade contractor supervisor’s work together with other trades to collaboratively develop the most efficient ways of achieving milestones.